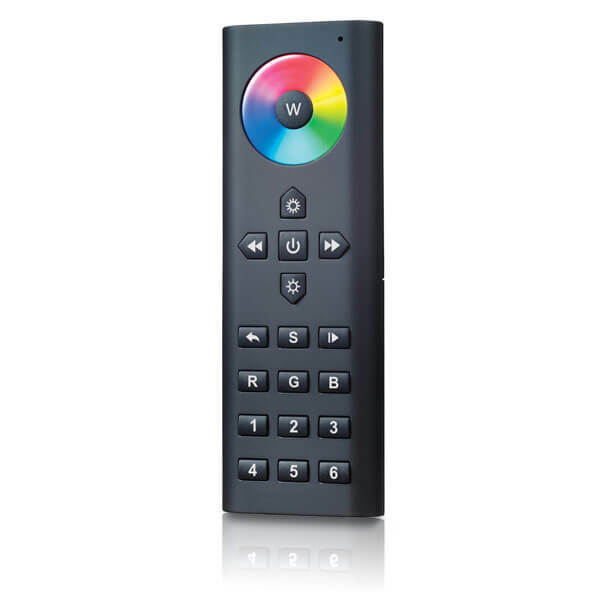 The S3i Handheld RGB/W Dimmer Controller is a remote that offers a color wheel to adjust color tone fast and accurately and independent dimming function of each R, G, B, W channel. There are 10 built-in changing patterns. Independent brightness adjustment of each R, G, B, W channel enables you to achieve millions of colors.